The predictable (and predicted) messages of “Why are yall more upset about a parade than about actual wars” are now showing up on social media. For this reason, I think we need to be very clear. 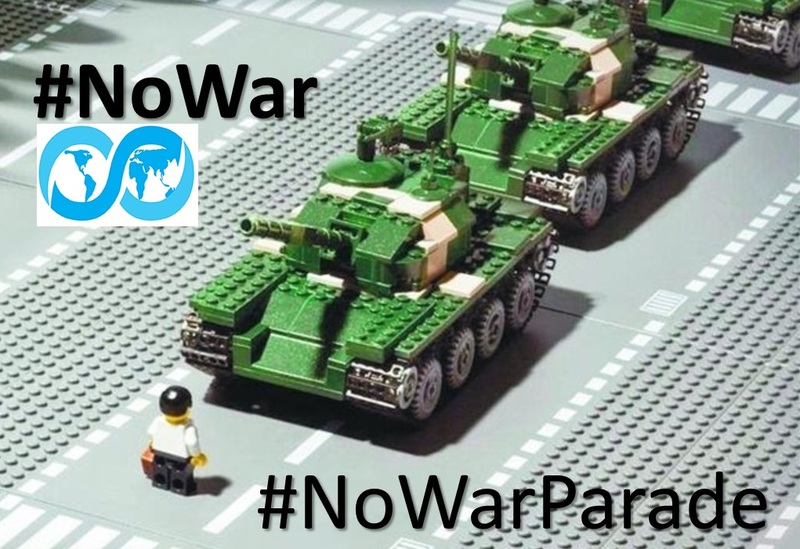 I am against a war parade not because it is uncouth and certainly not because it fails to properly “support the troops” or to properly prepare for more wars, and not merely because it costs money or damages streets (are you kidding me? ), but because it makes more wars more likely from the Pentagon and from other nations and groups that see the parade. It stirs up war fever. It encourages fear, obedience, violence, nationalism, xenophobia, racism, and Trumpism. It antagonizes foreign governments and people. It teaches the need to praise both personnel and weaponry regardless of what they have been used for or might be used for. Just to satisfy Trump’s ego? He was never in the military: Cadet Bone Spurs should hide in shame! What was the US Bastille? Do not give “him’ any ideas”. He calls Democrats treasonous already.